In 1885 Ernest Roland Wilberforce, the first Bishop of Newcastle, was preparing to address churchgoing women in the Portsmouth Church Congress. Finding he had nothing relevant to say to churchwomen, he contacted Mary Sumner and asked her to speak to the conference in his stead. Although she was reluctant and beset by nervousness, she addressed the women passionately about the power of mothers to change the nation for the better. A number of the women present were encouraged to return to their parishes to set up similar women's meetings, and the Bishop of Winchester, who presided over the congress, declared that the Mothers' Union become a diocesan organisation. The growth of the movement beyond the boundary of the Diocese of Winchester was due to the emphasis in Victorian British society on morality and contending with social ills as well as the growth in Anglican mission throughout the British Empire. 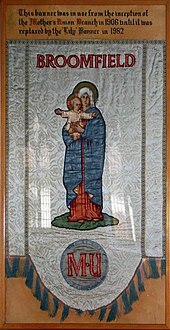 Mothers' Union spread rapidly to the dioceses of Ely, Exeter, Hereford, Lichfield and Newcastle, and then throughout the United Kingdom. By 1892, there were 60,000 members in 28 dioceses, which grew to 169,000 members by the turn of the century. In 1893, annual general meetings were organised, and, in 1896, Mothers' Union Central Council was formed. Mary Sumner was unanimously elected president, a post she held into her nineties. In 1897, during her Diamond Jubilee, Queen Victoria became patron of Mothers' Union, giving it an unprecedented stamp of approval. Mary Sumner's Mothers' Union set up branches throughout the British Empire, beginning in New Zealand, then Canada and India. She lived to lead the Mothers' Union to act in rebuilding the heart of Britain after the First World War, and saw the first Mothers' Union Conference of Overseas Workers in 1920. As a global movement of women and men, Mothers' Union supports local churches with the prayers and activities of its branch members, local communities through social outreach projects and is an international campaigning charity. Particularly concerned with the plight of women in the World, its projects include literacy and development, parenting, micro finance and campaigning against violence against women and the trafficking of women. Mothers' Union is part of Make Poverty History and the Jubilee Debt Coalition. In the UK it has successfully lobbied government to introduce the right to request flexible working for all parents, and internationally it speaks out on issues of gender equality through its representative status at the United Nations. Campaigning in the UK has also included lobbying for industry and policy change with regard to the commercialization and sexualisation of children. This led to then chief executive, Reg Bailey, being appointed in 2010 to lead an independent review for the UK Government, the Bailey Review. Of its four million members, about 1.9 million are from Indian dioceses from the formerly independent churchwomen's organisations of the Church of North India and the Church of South India, which affiliated with the Mothers' Union in 2001 and 2003 respectively. A further 1.3 million Mothers' Union members are in African dioceses, with the largest membership, 680,000, in Tanzania. Membership in the United Kingdom is about 93,000[when?] and has seen rapid declines from 122,000 in 2003 and more than 222,000 in 1993. Its vision is of a World where God's love is shown through loving, respectful, and flourishing relationships. Aim & Purpose: To demonstrate the Christian faith in action by the transformation of communities worldwide through the nurture of the family in its many forms. Mothers' Union developed within the Anglican Communion and uses its structure as its own. Individual branches are usually based on parishes or small groups of parishes. There are often levels of co-ordination corresponding to deaneries and archdeaconries, that link the branch organisations with that of the diocese. The Anglican provinces each have their own administration, which, in turn, supports the worldwide President, currently Lynne Tembey. 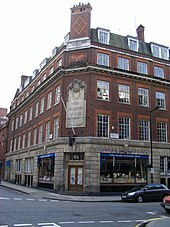 The worldwide headquarters is in Mary Sumner House in Westminster, London. Mothers' Union emphasises the importance of prayer underpinning its work. Each year, Mothers' Union organises a Wave of Prayer. Each diocese is given a set day to pray for other dioceses, and within each diocese each branch is given a specific time to pray. This gives to members a sense of unity in prayer for one another as the wave of prayer moves from branch to branch and from diocese to diocese. ^ Jonathan Petre (18 November 2003). "Mothers' Union tells newly-weds to take Aids test". The Telegraph. Retrieved 15 March 2016.